Recording the death of a people is a difficult task. 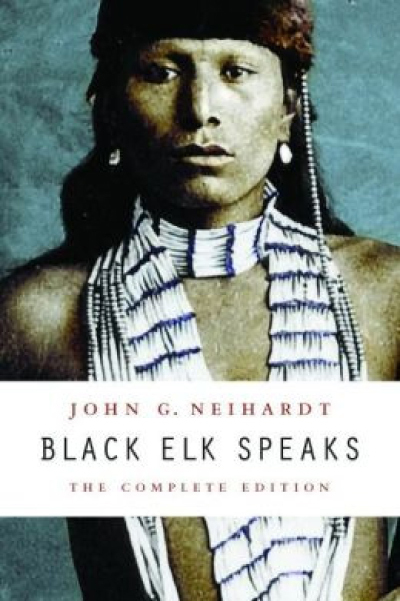 But when John Neihardt went to the old medicine man, Black Elk, he knew he was getting a last chance to save the remnant of the Sioux culture. Black Elk gave him more than that: autobiography, history, religious text, and elegy. Every time I read this heartbreaking tale, I wish it was longer, had more information. I wish the history was more detailed. I wish the religion had been formed into a cohesive spiritual text. But I suppose that this just makes Black Elk Speaks more poignant. It is a fragment, a piece of a once great culture, of a once great man. Black Elk Speaks records the last years of the Sioux, during the so-called Indian Wars. It chronicles a personal perspective on Custer’s fateful attack, the cowardly murder of Crazy Horse, and the discovery of gold in the Black Hills, the death knell for these people. Black Elk joins Wild Bill’s traveling show in a futile attempt to learn about the white man’s culture. 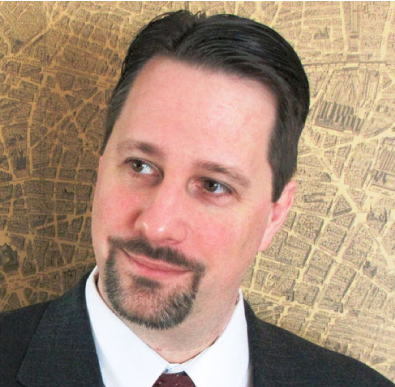 He travels to England and meets Queen Victoria. But he comes back in time for the bitter end at the massacre of Wounded Knee, where the U.S. Army murdered hundreds of unarmed men, women, and children. At the end of the book, Neihardt takes the aging Black Elk to the top of Harney Peak in the Black Hills, the center of the Sioux cosmos. He kneels upon the peak, crying to the gods. “O let my people live!” I traveled to the same mountain many years ago and climbed it, to add my prayer to his. But someone had built a large stone tower on top, and although the view was still magnificent, the magic was gone. Like Black Elk. Like the Sioux. All things must pass, I suppose, but whenever I read Black Elk Speaks I curse the ignorance and greed that seem to drive mankind to hasten the process. 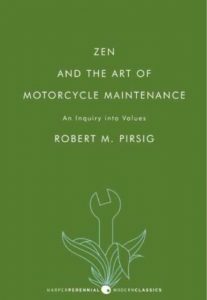 “What is quality?” This is the central question of Robert Pirsig’s critically and popularly acclaimed masterpiece, Zen and the Art of Motorcycle Maintenance. The narrator begins by repairing his motorcycle and ends by trying to repair the flaw in Western culture, what he sometimes calls the “ghost of reason.” Despite the title, the book has very little to do with Zen thought or practice. 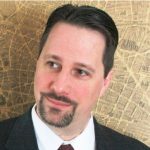 It actually delves into ancient Greek thought and its effect on the subsequent history of ideas—the concepts that underlie our entire modern mode of being. Then, the author delves deeper to find the pre-Socratic idea of “arête,” or excellence, virtue, dharma, quality. This is an ambitious project—one doomed to failure—but the attempt is magnificent. Who else has taken on the metaphysical assumptions that underlie our culture and thought patterns in such a grand yet readable fashion? Thoreau’s Walden, Nietzsche’s Thus Spake Zarathustra…I can count them on one hand. 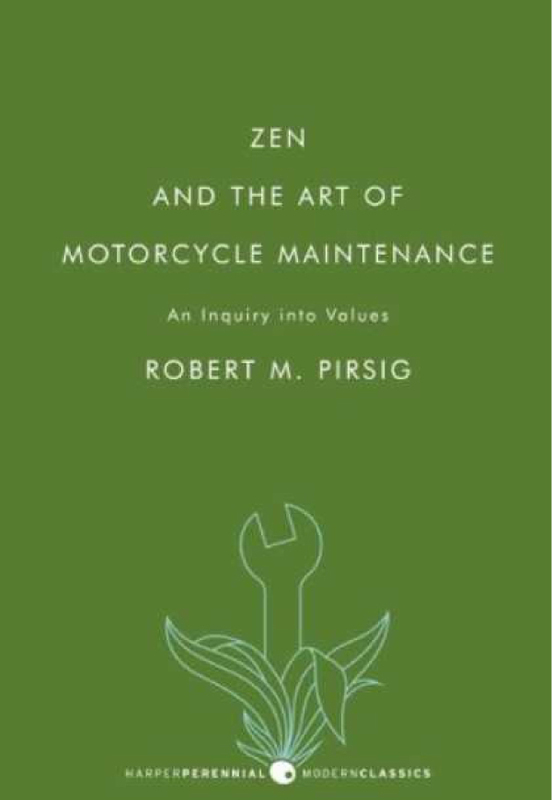 Like any system, Pirsig’s philosophy can be picked apart if examined too carefully. But who wants to? Let Pirsig take you into the “high country of the mind” and you will never regret it.